Happy 75th birthday to the famed cosmologist. Thinking about attending Stephen Hawking’s party for time travelers? Don’t bother. If you were going to go, the whole world would know by now. Unless he killed you when you arrived at the party he didn’t announce until the next day back in 2009. Six years later, on his 75th birthday, he still hasn’t announced that any guests showed up. This stunt, which the famous physicist used to illustrate that time travel isn’t possible (though some people contest that notion) is just one example of Hawking’s extraordinary mind at work. For a man whose life has been defined by exploring and explaining unseen, unproven, and even untestable phenomena, the time traveler party incident, replete with his signature bombast, was par for the course. Hawking was born in Oxford, England in 1942, but his family moved away when he was a child. He returned to his hometown for university — studying physics at the local institution known as University College, Oxford. From there, he went on to study cosmology at Cambridge, eventually holding the same professorship that Sir Isaac Newton once held. 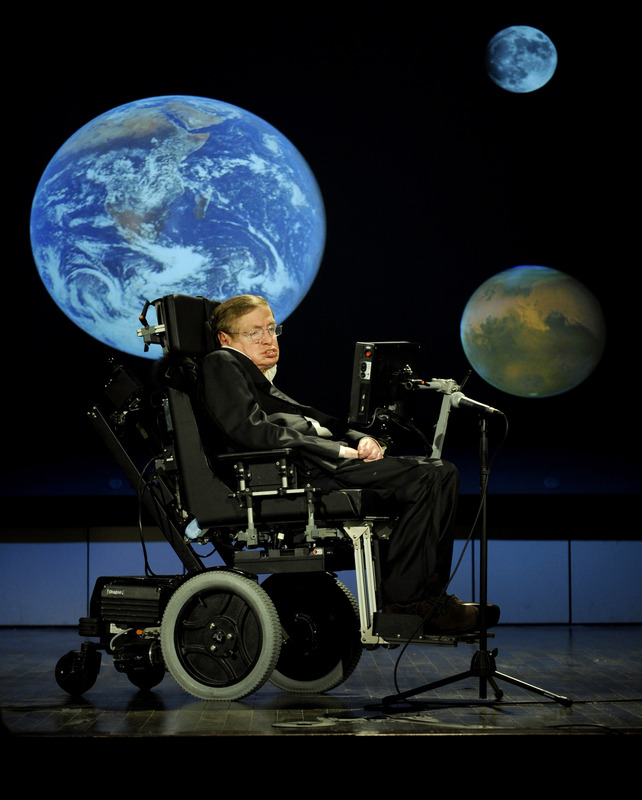 In the decades since his college days, Hawking has turned his gaze towards space, ceaselessly adding to humanity’s body of knowledge. When he’s not publishing in academic journals — which he’s done over 100 times — he’s making bold proclamations about aliens or the fate of humanity. It may take Stephen Hawking a few minutes to compose sentences with his voice synthesizer, but when he does, they're often sick burns or proclamations of alien annihilation. In the year since his 74th birthday, he continues to weigh in on society’s woes, curtly replying, “I can’t,” when asked to explain Donald Trump’s rise to prominence. That being said, he continued, in characteristically Hawking fashion, to make some rather demeaning remarks about Trump appealing to the lowest common denominator. But he hasn’t just talked about Earthly issues. With an ear to the skies, in 2016 Hawking’s research group shouldered the task of analyzing signals that scientists suspect may be alien civilizations attempting to communicate. Dreaming of finding a future for humanity in space, the physicist purchased a ticket on Virgin’s future space flight. Have we mentioned that he thinks humanity is doomed on Earth? Well, apparently Hawking has put his money where his mouth is. He was spotted celebrating his birthday as close to outer space as one can get on short notice: watching Rogue One in the cinema.